1918 Nash-Quad: Predecessor to the Willys 4×4 and Others? During the 2012 Moab Jeep Safari week, hundreds of 4x4s cruised the bustling Utah community. 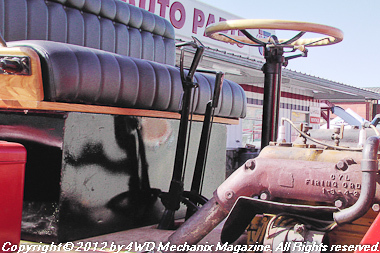 One 4×4 of particular interest was a 1918 Nash-Quad 4WD parked at the busy CarQuest auto supply on Main Street. 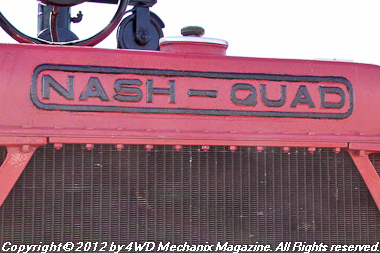 Nash-Quad trucks saw the “front” at France and served in Russia, Britain and other Allied nations during WWI. These 4WDs clawed through mud and muck, replacing horses. 11,000 Nash-Quad units were built during 1918. Surplus units served for decades after the Great War. 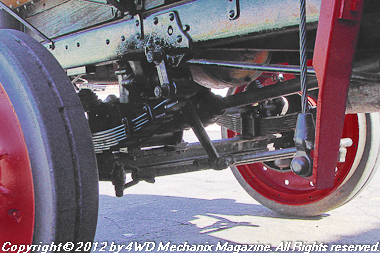 This rare, WWI era truck features many gear, driveline and chassis innovations. 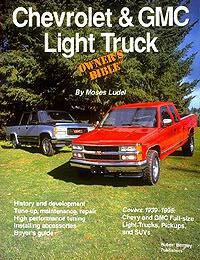 Most of these technical breakthroughs prevail into modern 4WD trucks. Now owned by Ray Klepzig, the Nash-Quad ‘barn find’ toiled many decades ago as a Montana highway road maintenance truck. 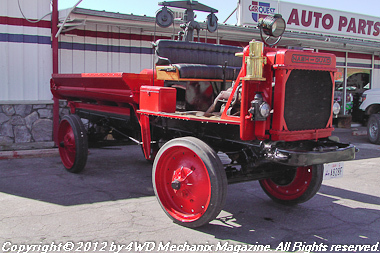 The 4WD underwent a full restoration at Moab and served as a Shriners’ parade icon. 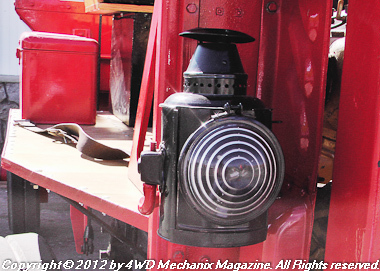 With heavy levers and spartan features, these utility trucks would certainly fail today’s OHSA, EPA or CAFE standards! 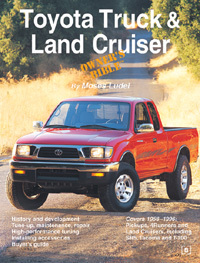 Their traction innovations, however, paved the way to the Jeep 4WD and other 4x4s. 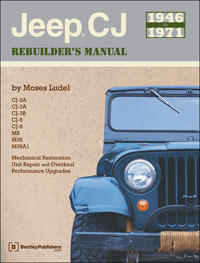 For Willys and Jeep 4WD aficionados who want bragging rights to the original 4×4, there’s a glitch. 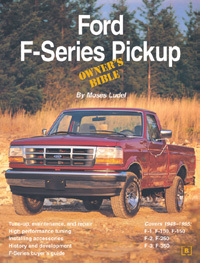 4WD dates to the earliest days of truck design with models like the FWD, Jeffrey Quad and the Nash-Quad. Spurred by the First World War—decades before Bantam and Willys competed for a WWII contract—4WD trucks like the Nash-Quad worked at battlefronts, construction sites, road building and mining operations! Here’s the original “stroker motor”: a Buda H-U four-cylinder gasoline engine of 312 cubic inches, developing 28.9 (taxable) horspower. 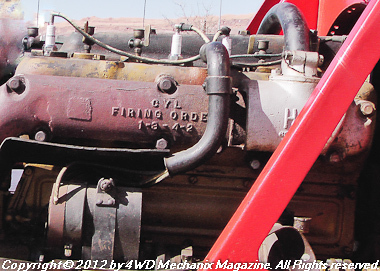 These engines have a very long stroke, smaller bore and low enough compression for the era’s hand cranking! 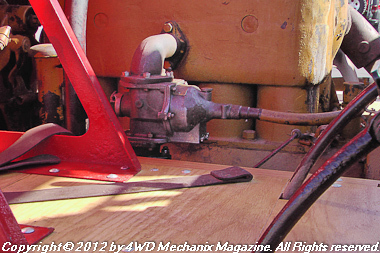 The updraft carburetor is simple and works well for this large displacement four-cylinder engine. When cold, the engine can be primed through fuel caps above the head. Speed is governed, and this engine has a quick torque rise and low rpm ceiling. 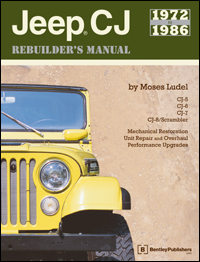 The good news for Jeep buffs is that Nash cars gained popularity and emerged from the postwar period as the Nash-Rambler members of a newly formed American Motors Corporation. 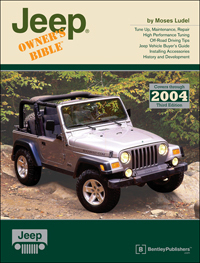 The eventual connection between AMC and Jeep is now legend! Clearly, the Jeffrey Quad (predecessor to the Nash-Quad) and Nash-Quad rank among the first American 4WDs. These trucks also represent a branch in the Jeep family tree! Nash-Quad trucks were available in two- and four-wheel steer. This chassis is front steering only. 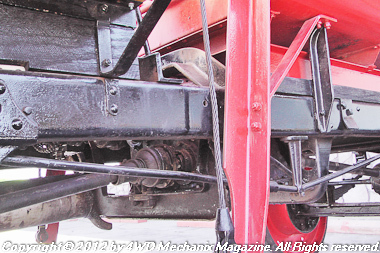 Differentials with “automatic lockers” and front-rear drive shafts make up the 4WD system. Portal axles? 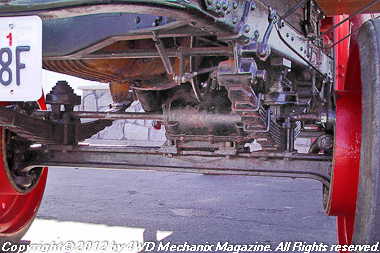 This 1918 truck has its differential and driveshafts above the iron beam axle. The iron beam is below the semi-elliptic leaf springs. Ground clearance is ample. Driveshafts are well out of the way. 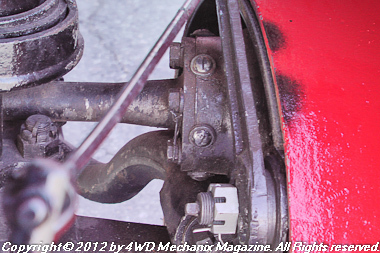 Here is the front axle shaft joint, with the steering arm seen at the back of the axle beam. 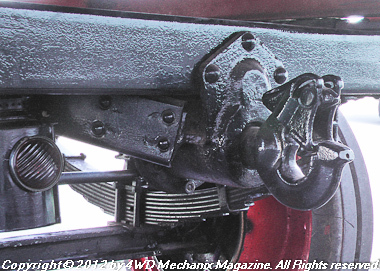 This arrangement is not unlike later “closed knuckle” axles; however, the driveshafts run in the open. 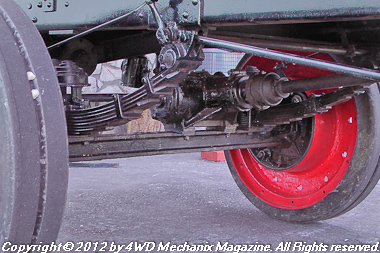 Front steering knuckle is not unlike other kingpin front axles. 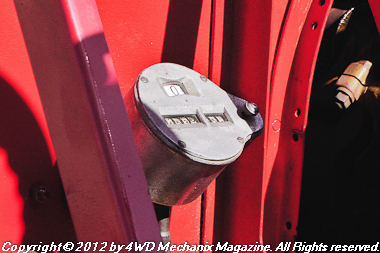 Drive mechanism is above the steering pivot point. 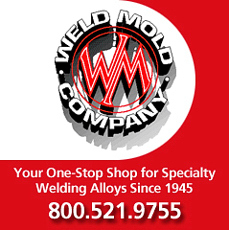 Mechanical brakes are adequate for a 15 mph vehicle. 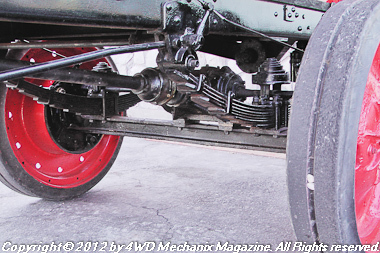 Steering gear’s pitman arm moves the front tie-rod laterally. 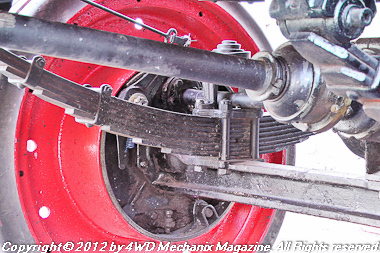 Steering arms rotate the spindle knuckles—in concept like a modern Jeep 4WD with beam axle. Drivelines run from the transmission to each axle’s differential. 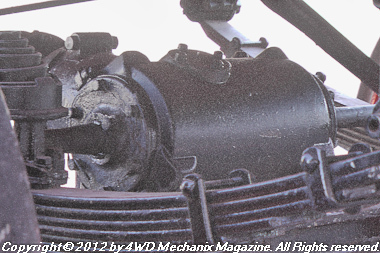 This is advanced chassis and powertrain technology for 1918! The manual steering gearbox has a worm and sector to move the pitman arm. 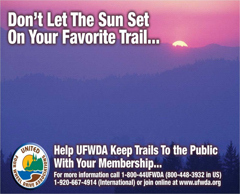 Leaf springs have shackles like Jeep leaf spring suspension. Yes, this is a bump stop! 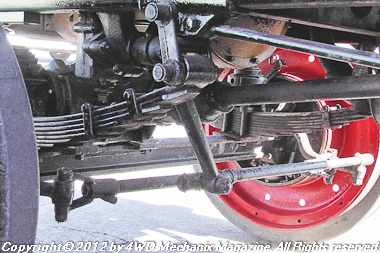 Even in 1918, with massive leaf spring assemblies, spring movement could exceed limits. These bump stops cushion and limit the axle movement. 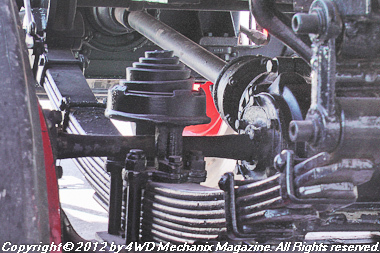 Axle differentials take driveline power and move it laterally to the wheels. This is much like a modern car or truck live axle. 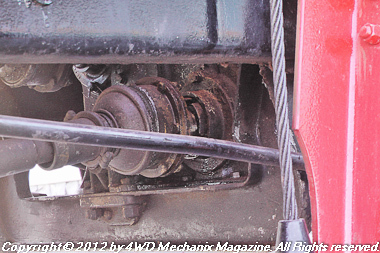 Rear driveline goes from the transmission to the rear differential assembly. The differential moves this power flow laterally to each wheel—through open driveshafts. The four-speed transmission features power division to each driveline. 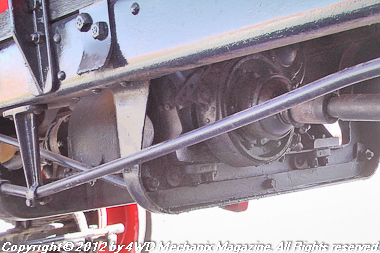 Here, the rear driveshaft and emergency brake are in view. This basic technology survives to this day in automotive designs. 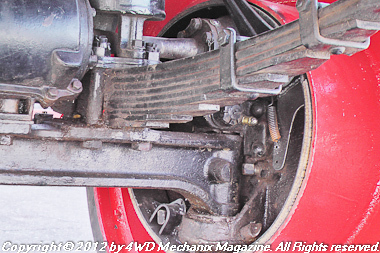 The front driveline exits the front of the four-speed transmission. The transmission doubles as a transmission/power divider. Ground clearance under the Nash-Quad is exceptional, meeting the rough road and mud challenges of its era. Frame is a ladder design with riveted crossmembers. Military pintel hook looks familiar! This hook swivels like the better designs for today’s Rubicon Trail 4×4 trailers. This is 1918 engineering, quite advanced.